The official website for the documentary SHIP OF MIRACLES. 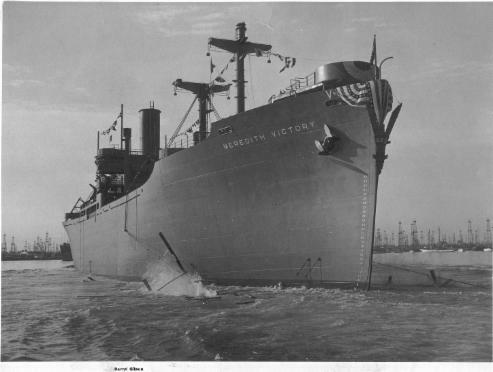 On Christmas Day, 1950, the US Merchant ship "SS Meredith Victory" arrived at a Korean port, carrying over 14,000 refugees--men, women, and children. Watch the full documentary online now by CLICKING HERE. The US Maritime Administration called this "the greatest rescue operation by a single ship in the history of mankind." The ship captain and crew were decorated as American heroes. The Captain was so moved by this experience that he became a monk in a New Jersey monastery. Filmmaker RJ McHatton read an obituary on Captain Leonard LaRue in 2001. He was so moved by this story that he began a SIX year journey to bring this story to the big screen. "Ship of Miracles" is the inspiring true story of a handful of American merchant seamen who saved 14,000 people on a single voyage, during the Hungnam evacuation. Through mine fields, fog, darkness, and enemy fire, no one on the ship lost their life. Five babies were born during the journey.